Sonja Luehrmann, Assistant Professor of Sociology and Anthropology at Simon Fraser University, heads a team of researchers exploring the role of the senses in Eastern Orthodox Christian prayer in Russia, Greece, the United States, Egypt, India, and Romania. Here, she tells Jennifer Lois Hahn about her research on emerging rituals in Russia related to childbirth and abortion, strategies for ensuring that prayers “reach God faster,” and the productive tension between tradition and innovation at the heart of modern Orthodox prayer. 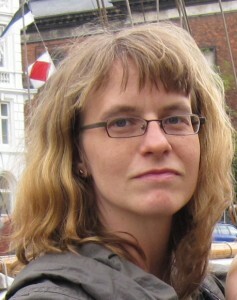 Jennifer Lois Hahn: How did you come to be involved in this project? JLH: Tell me about your own research project. Where did you do your fieldwork? SL: I did research on texts and prayers in conjunction with a longer ethnographic project that I’ve been doing on new rituals that are emerging in Russia, particularly in connection with issues of childbirth and abortion. These issues did not exist to the same degree in pre-revolutionary Russia and are now requiring the elaboration of new ritual and prayer texts. I’ve been doing this research in a multi-sited way. I worked with people in Moscow, both iconographers and also people who are part of a commission to approve new liturgical texts. I’ve done research in more outlying regions. I went on a pilgrimage in the Kirov region in Russia, which is further out east near the Ural Mountains. So I’ve been looking at these aspects of ritualization of new issues in a church that is known to be very conservative. When people think of Orthodox Christianity they probably don’t think of ritual innovation, they think of people doing things that have been done for centuries. JLH: What is distinctive about Orthodox prayer versus prayer in other traditions? SL: One thing that I think both Orthodox Christians and non-Orthodox people think of as very distinctive is certainly the use of icons. Icons are flat, two-dimensional images traditionally painted on wooden boards that are used in prayer. They differ from Catholic art, both in the insistence that you rarely use three-dimensional statues, traditionally you have to use flat images, and also in the way that in most iconographic styles it’s very important to preserve a certain kind of canonical style and way of depicting a person. The idea is that in Orthodox art you cannot do what has often happened in Western painting since the Renaissance: painting an image of a saint and putting in the face of the person who sponsored the painting, or some other contemporary of the painter. The faces in Orthodox iconography are always fairly stylized, but the idea is that they actually give a likeness of what that saint or person looked like in real life. They’re meant to be more realistic than Catholic iconography in some way. Another thing that is distinctive is the practice of praying with traditional texts. So this evangelical Christian idea of just having a casual chat with God—or even the post-Vatican II Catholic idea where you can also do that—is something that in Orthodox Christianity is not considered a norm. It is not even considered to be particularly desirable. So people I have talked to say, “Well, yeah, you can pray with your own words, but in the prayer book we have the words of people who were spiritually more advanced, who were monastics and who have been recognized as saints and everything. So why don’t we use their words?” The phrase that is often used is that these traditional prayers “reach God faster,” because they are inspired by the spiritual insights of the people who put together these words. In practice, often what I’ve seen people do is that they will recite some of these traditional texts and then maybe if they have a concrete request, they will add it on either silently at the end or they will actually add some language in their own words about something in particular that they are asking God for. But the main emphasis of the prayer event is always the recitation of these canonically authorized texts. JLH: This interplay of the fixity of the textual prayer and the creativity that people bring to it is really interesting. Can you talk a little bit more about how that tension plays out? SL: I sometimes think about it as dialing God’s telephone number to then tell God what you really want to say. The traditional text is like the telephone number. It is the way to get through to God. Then once you’ve established the connection, you feel that it’s the right moment to add what it is you wanted to say. But another way in which people get creative with these prayers is to abbreviate them. So the morning and evening prayers, if you say the whole thing, it takes about half an hour. In today’s world, not everyone has time to do that. In Russia quite a lot of Orthodox Christians I know just don’t say them. But then there are also people who will pick and choose, maybe stay a bit longer with a particular part that speaks to them on that particular day. When you look at writings by nineteenth-century Orthodox religious figures that talk specifically about how you live this Orthodox spirituality as a layperson, you actually find that as advice. They say that you do not actually have to say the whole thing for it to be valid. So abbreviation is another very common way to get creative. Another way that people play with this is that they don’t necessarily say the prayers themselves. They can delegate that responsibility to others. That’s not the case for these daily prayers—either you say them yourself or you don’t. But if you have particular petitions or concerns, if you have a particular illness or a relative who has a particular illness, you do have a choice. For instance, do you go yourself to particular icons that are known to be helpful for a particular disease? Or do you pay money to a monastery that has this particular icon and that will do daily services in front of it, and include the name of yourself or your relative? There is this idea that certain people, either because of their spiritual merits, or just because of their position, are better at prayer, God hears them better, God hears them faster. So you can delegate your prayer requests to these people, and hope that with their intercession your cause will be furthered. JLH: What happens in the case of extemporaneous prayer? For instance, when evangelicals are thrown into a difficult situation, they can use their own words to ask for help. What do Orthodox Christians do? Would they use the Jesus prayer, for instance? SL: One prayer that is especially popular among Orthodox women in the moment is the Orthodox version of “Hail Mary.” It goes: “Oh Virgin birthgiver of God, rejoice, blessed Mary,” and so on. It’s a fairly short text, and it’s something that people know by heart. Many people also know a melody that goes with it so they might actually chant it. I went on a three-day walking pilgrimage with women where we came by a spring that was considered to have healing properties, so they organized bathing. But the water was also pretty cold. First the men all got to go in, and then the women, because there were no changing rooms. While some of the women were going in and having to overcome this coldness, the other women who were standing at the bank were singing Hail Mary to help them, to give them strength to do it. The Jesus prayer is something that is a little bit more contentious. It is this very short petition, “Oh Lord Jesus Christ, son of God, have mercy on me the sinner,” and it kind of has this legendary status in the Orthodox world (and to some degree in the western world too) that there are these very committed spiritual people who are saying that prayer constantly in their mind. So it is less this small moment of petition, but more this idea that throughout your whole life you are always close to Jesus, and invoking Jesus. But there are also debates about it: is it good to try to do that as a layperson? Is that only something that monastics should do? If you try to do it as a layperson, could you get too caught up in your spiritual exploits and forget about life as it is? One of our collaborators, Simion Pop, was looking at that in Romania, where there is a post-Socialist revival of Orthodoxy just like in Russia. Part of that revival has been a more pronounced movement of laypeople who are very interested in the Jesus prayer and either use it as meditation tool when they go on retreats or actually have this ambition to be trying to say it their whole lives. That is an issue about which different Orthodox Christians have different opinions. JLH: Along those lines, could you talk about the differences that you and your collaborators have seen in different parts of the world? Sonja: One thing we noticed that was going on in all the different countries—Russia, Romania, Greece, Egypt, and India—was the search for specifically Eastern Orthodox Christian ways of praying and living spirituality that I think started sometime in the late twentieth century. In Eastern Europe and Russia, it’s very much connected to the end of socialism. But it also goes back to processes that started in the nineteenth century, a beginning to turn away from Catholic and western European influences in search for this unique and eastern spirituality. In India and to some degree also in Egypt our collaborators were seeing the same thing. For instance, in terms of painting styles, there was this desire to go back to either Byzantine iconography or even the oldest Christian styles of icon writing to be different from the Catholic images. I think we have to still do more to tease out what the different reasons are in the different countries that this is happening. Everywhere it has to do with some sort of identity politics, but also with an idea that there are natural ways in which human spirituality should express itself, and that these old, in some ways very strict, very stylized versions of iconography and chant express that best. Maybe they are most pronouncedly different from secular styles of music and art in all these countries, and there is a certain value that is being placed on that, that the religious approaches have to be very different from the secular ones. In terms of differences, I think there are definitely differences in how open the different churches are to electronic media or any kind of technical innovations. Jeffers Engelhardt, the ethno-musicologist in our group, has found that in Greece electronic amplification of sound has become the norm, even in the smallest of monasteries on Mount Athos. Sometimes for lighting, they only use candles, but they will still have a microphone in the altar to project the sound of what the priest is saying, even in a tiny chapel where everyone could perfectly hear everything that is being said. In Romania we saw the same thing, whereas in Russia there is much more hesitance against using any kind of these electronic means. It is extreme in monasteries. Another one of our collaborators, Daria Dubovka, did long-term fieldwork in a number of convents in Russia. She has very interesting stories about technology there. In some places you were allowed to have a laptop but not a phone. In other places, nothing at all was allowed. But basically in Russia there was this idea that there was something morally suspect about new technologies and you don’t really want to have them. JLH: In terms of what holds it all together, what makes Orthodoxy, Orthodoxy, you have mentioned Birgit Meyer’s concept of an aesthetic formation. Could you explain what that is? SL: I understand aesthetic formation as referring to a style that connects a number of churches or geographical contexts and gives a loose coherence to something that doesn’t have a common institutional body. That is one of the reasons that we’re using it for the Orthodox church, because different from the Catholic Church, there is no pope in Eastern Christianity that would give you a general line on the opinion of the Orthodox Churches on something. There are bishops. There are patriarchs. In most contexts the patriarch is the national head of the church, but he’s really considered to be primus inter pares [first among equals], the one of who has administrative authority, but whose word on doctrine is not necessarily higher than that of the other bishops. So in the absence of this kind of institutional structure, we like this term “aesthetic formation” to think about common ways of responding to media. So for instance, I was just talking about these common debates in different countries about how do we go back to whatever it is we understand as a Byzantine, Eastern Christian, or Orthodox style. That is something that Orthodox people from Romania and Russia and India, if they could somehow get together and to talk about it, they would mean similar things. But at the same time, they might have very different political ideas about what the church should be about or very different historical experiences. Still, there is a common resonance around a certain kind of sound or visual impression. That’s what we meant by aesthetic formation. JLH: Many of the NDSP grantees seem to have been attracted to the concept of “embodiment” as a new way of thinking about prayer. How has that theoretical orientation informed your group’s focus on the senses? SL: I think, for us, embodiment was an overarching category under which you can bring together the study of different senses. Part of what we’re interested in for our research is the question of why do you have to have all these different sensory media? Why can’t it be just text or just icons or just chant? There seems to be this abundant saturation that somehow helps people feel that they are in a holy place, that their prayer is going to be heard, that their prayer is in some way appropriate to God. Praying is not something that you just do with the mind or the eyes or the mouth, but you do it as a whole person. What icons do for instance with visual media, is they help the person who is praying orient their body in a certain way. It’s not just about having eye contact with the saint whom you’re venerating, but how you’re standing, you’re facing the icon, you’re orienting your body in a certain way. When Orthodox Christians go to Western Europe and visit Catholic churches, one of the things they talk about is how strange it is to pray at a statute. This bodily orientation toward a three-dimensional body on a pedestal is very different than praying to a flat image that is in front of you. So I think in people’s own sense of what it means to pray and how to pray well, bodily posture and bodily integration of various sensory input is very important, just intuitively. That’s maybe one reason why so many of our researchers in this grant project as a whole are picking up on that. JLH: What do you think that the overall New Directions in the Study of Prayer project would be missing if Orthodox Christianity hadn’t been included as a focus of study? SL: That’s an interesting question. Well, let me turn it around to ask: what is the unique thing that you can see in Orthodox Christianity that is maybe not as clear in other religious traditions? On the one hand, the study of the senses is very important, and we were very much interested in that, but we also always found ourselves pointed back to the institution and the community of the Church. I think in some other contexts, it can be relatively easy to study prayer as this kind of individual activity, this way that people bring out their own innermost wishes or thoughts and bring them up to God. Or a way that people develop themselves and work on themselves ethically, as in a lot of current research on spirituality and self-development. In Orthodox Christianity, I think all of that happens, but I think it is also always very clear that people develop their own styles and preferences and experiences of prayer in relation to this very strong authorizing discourse of the institution. Being Orthodox means that you are part of a tradition of prayer and theological debate. So we understand the Orthodox Church in some ways as Talad Asad talks about Islam, as a discursive tradition. It’s a tradition in which people have argued, people have had all kinds of positions, but in order to do something and call it Orthodox you always have to be able to tie it to somebody’s authoritative position, the position of one of the church fathers, even though maybe all of the other church fathers disagreed with it. The strength of the institution and its authorizing discourses for people’s experience of what is proper and effective prayer, that is something that sometimes can be forgotten in the sensory turn in recent years. The Orthodox Church brings the two perspectives together by showing that yes, the sensory media are very important, and people use them in all sorts of creative ways that are not necessarily authorized by the institution, but they are also always very conscious of their placement in this hierarchy of experts, of the need to get the blessing of your priest in order to do a certain sequence of prayers. JLH: How does your work on anti-abortion activists in Russia relate to these tensions between the individual and the institutional? SL: The paradox of the issue of abortion in Russia is that the Russian Orthodox Church nowadays very strongly opposes it and the state is also starting to become more critical of it, mainly because of concerns with the birthrate. On the one hand the church is very opposed to abortion, on the other hand, abortion was the method of fertility control in the Soviet Union. So pretty much any woman you meet who is over 40 or 50, unless she had fertility problems, or she didn’t have a heterosexual partner, she will have had multiple abortions. These elderly and middle-aged-women are also the main support of any Russian Orthodox congregation. Just like in the United States, Christianity is very feminized and dominated by older people. So the church is telling its most faithful parishioners that they’re terrible sinners who have to repent of these murders that they committed during their youth. But the church is also developing these rituals that you can do to expiate your past abortions. And that is often where prayer comes in. There is an icon that has been created of what is known as the slaughter of the innocents in the West, the incident where King Herod had all these children under two killed in the attempt to kill Jesus, that has been adopted as kind of the symbol of aborted fetuses. There was no traditional iconographic depiction of that scene in its own right. I actually interviewed the iconographer who in the 1990s wrote the first full-size prayer icon of this episode in consultation with a priest. So there are these new prayer media, and there are also official prayers that the church recommends women say for their aborted fetuses. But then there are also ways in which women actually pray for aborted fetuses. The main difference between them is whether or not the women come up with a name for the aborted fetus. The church very emphatically says no, because the only way that a name can be conferred is through baptism, and of course having died before being able to live outside the womb, it is not possible for these children to have been baptized. Whereas there are these unofficial rites that are coming up, by which you actually sort of posthumously baptize your aborted fetus, and then you have a name that allows you to participate in official church prayer. So again, that’s a place where we see that the sensory media and experience is one thing, but the little mark of institutional belonging—do you actually have a baptismal name for someone you want to pray for or not—can become very important in the minds of laypeople, more important than the whole long text that might be around it. In the “Praying with the Senses” prayer portal, seven scholars investigating Eastern Orthodoxy offer essays on the sensory aspects of prayer and devotionalism, highlighting how the modalities of prayer affect its efficacy. This portal also allows for reflection and questioning about the role of haptic and visual encounters with the sacred during prayer, about the relational and communal ties between the socio-religious networks of Orthodox Christians—both living and celestial—and about how these encounters and bonds affect the identities of practitioners in corporate and individual ways. What does prayer sound, look, taste, and smell like? Can the person praying “feel” if the prayer is successful at establishing contact with a divine interlocutor, or do all prayers feel the same? The Eastern branches of Christianity have an especially rich sensory culture of prayer, including not only the famous icons and chants, but also the smell and warmth of oil lamps and incense, and the feel of book pages or prayer ropes between one’s fingertips. There are also media that allow a person to materialize a prayer without ever pronouncing it, such as a note on a crumpled piece of paper left in a wall, a prayer service recorded on a CD for home audition, a candle placed wordlessly in a church, or an invocation of a saint on a web forum. This prayer portal brings together materials from research in Egypt, the United States, Russia, Romania, and India to show a variety of sensory media used in those branches of Christianity with roots in the Hellenic and Aramaic-speaking parts of the Eastern Mediterranean. Though sharing a common set of sacred scriptures and a claim to succession from the early disciples of Christ, these branches are separated from Western Christendom by liturgical and aesthetic differences that predate the official schism between the Roman Catholic and Eastern Orthodox churches in 1054. However, they also display a great internal diversity and incorporate different political histories and traces of mutual influence with Catholic, Protestant, Muslim, and Hindu neighbors. Despite these obvious differences, we draw on materials from across the Eastern Christian world to point to liturgical forms, gestures, sounds, sights, and objects that resonate with one another and create an internally connected “aesthetic formation,” in Birgit Meyer’s term. 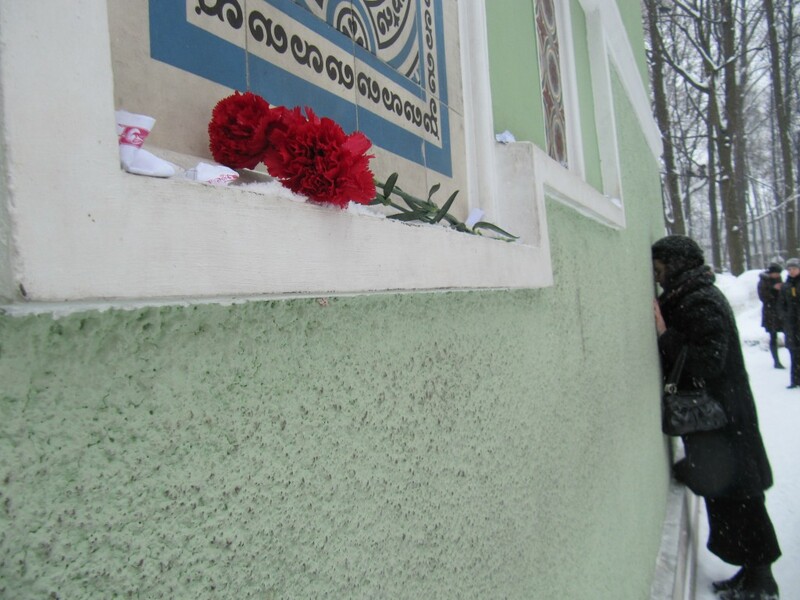 Some materials occur in different places: believers write requests on scraps of paper at the shrines of Saint Xenia in Saint Petersburg and Saint Abdel-Masih al-Manahri in Upper Egypt; relationships with confessors–known as “spiritual fathers”–shape the embodied practices and prayer texts in Romania and Russia; and akathist hymns dedicated to saints are popular in different countries as bridges between liturgical, collective prayer, and individual observances. A standard repertoire of gestures facilitates attentive listening and connects prayers in church and at home: standing or kneeling, crossing oneself, and bending down in prostrations. Although iconographic styles differ across times and places, there is a common idea that images mediate the real presence of saints and divine beings who are alive in the Church as a transhistorical community. 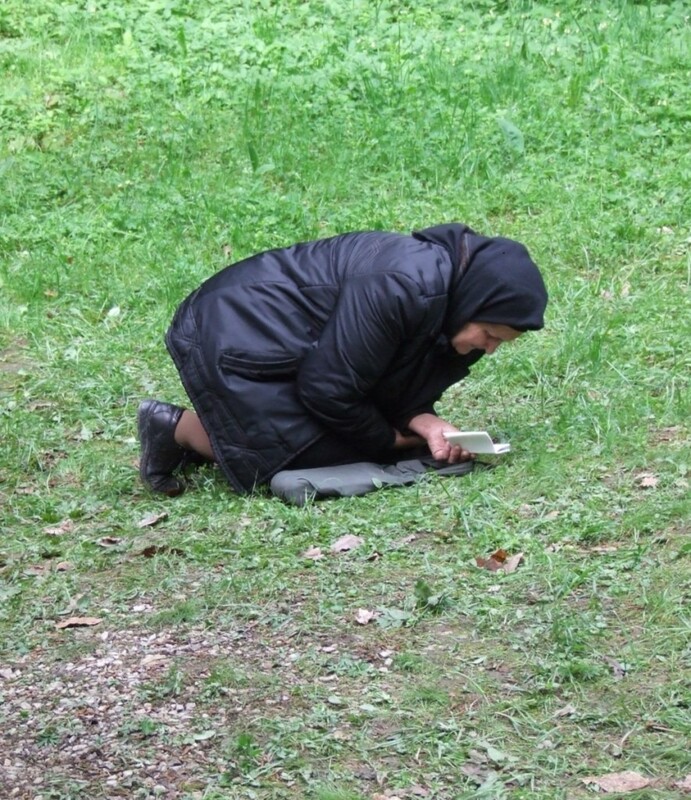 For the comparative study of prayer, these materials from Eastern Christianity suggest a number of possible lines of investigation: first, not all prayers are equal, and the efficacy of prayer depends on a number of factors. Some of them are internal to the praying person: his or her state of sincerity, undivided attention, preparation through fasting or prostrations, and knowledge of and access to prescribed prayer texts. Others are intersubjective: in a group of people praying together or in a situation where one person is interceding for others, there are social characteristics such as gender, age, clerical status, and training in recitation techniques that determine who recites a prayer and who listens, or whose duty it is to intercede for whom. The Russian proverb, “A mother’s prayer can fetch [her child] from the bottom of the ocean,” refers to one culturally accepted relation of intercession; the mutual, but differently empowered prayers of confessor and spiritual children are another. Finally, efficacy is also related to time and location: the distance travelled to the abode of a dead or living saint adds force and urgency to a prayer request, as does the capacity of a holy place to imbibe and become saturated with the many prayers said there over time. The beauty of a liturgy or the association of a particular saint or feast day with particular human problems can also help amplify a prayer request. All this raises questions about the possibilities and limits of thinking of prayer as a skill, and about the social, temporal, and spatial frameworks that are both essential to efficacious prayer and must continuously be broken up for prayer to reach beyond ordinary frames of existence. Another fruitful comparative question could be that of creativity and inspiration in non-spontaneous prayer. 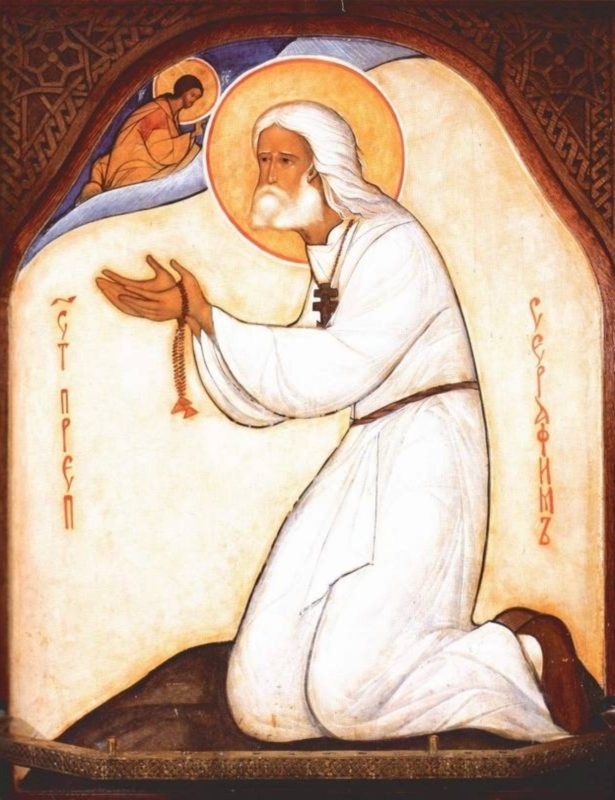 Eastern Christians are rarely encouraged to pray “in their own words,” and certainly not “in tongues.” But prayer books often attribute texts to named saintly authors who are said to have been inspired by years of spiritual exercises. And even simple liturgical acts such as the reading of evening or morning prayers or the invocation of a saint in front of an icon are not straightforward acts of repetition, but require choices: how to combine specific formulae; whether to use an official prayer book or less regulated sources, such as small booklets or a text transmitted in a particular community; whether to perform that text completely or leave out elements; what tempo and style of recitation to adopt; how to time gestures with text and whether or not to use optional acts of physical exertion, such as prostrations. In looking at the generative possibilities of work within a pre-given tradition, the study of prayer can learn much from anthropological studies of ritual. But assumptions about how ritual persists and changes may also need to be adapted to the conditions of memory, transmission, and creativity in written religious traditions. The entries in this prayer portal can be viewed in any order; each is organized around one or more images or recordings featuring a particular sensory medium of prayer or a set of sensory conditions that help prayer unfold its efficacy. Together, these materials show that in a religious tradition known as conservative and favoring collective over individual expression, everyday practice requires a great deal of creative combination of received elements to shape a multisensory whole. In this excerpt from the documentary film Birds Way, the reader, a Russian-speaking Old Believer in the Romanian Danube delta, recites a passage from Paul’s first letter to Corinthians (IV 9-16) where the apostle urges those who call themselves Christians to imitate Christ even if this may look foolish in the eyes of outsiders. The book he holds while reciting is not the Bible, but a nineteenth-century book of needs (trebnyk) containing the most important liturgical services for this community of Old Believers. The book itself is quite new if we are to consider that some of the liturgical books they use are from the seventeenth century, the time of the liturgical reforms that led to a schism in the Russian Orthodox Church. However for them all the books are “old,” for the books are the only carriers of the theology and ritual of the pre-reformation Orthodoxy. These books together with the literacy practices create the textual community that makes Old Belief. It is the apparent immutability of liturgical form and language maintained in textual form that generates the sense of continuity and authenticity of their faith in the face of others. Old Believers are socialized into this textual tradition from early childhood, as the old books are present in their churches and homes. 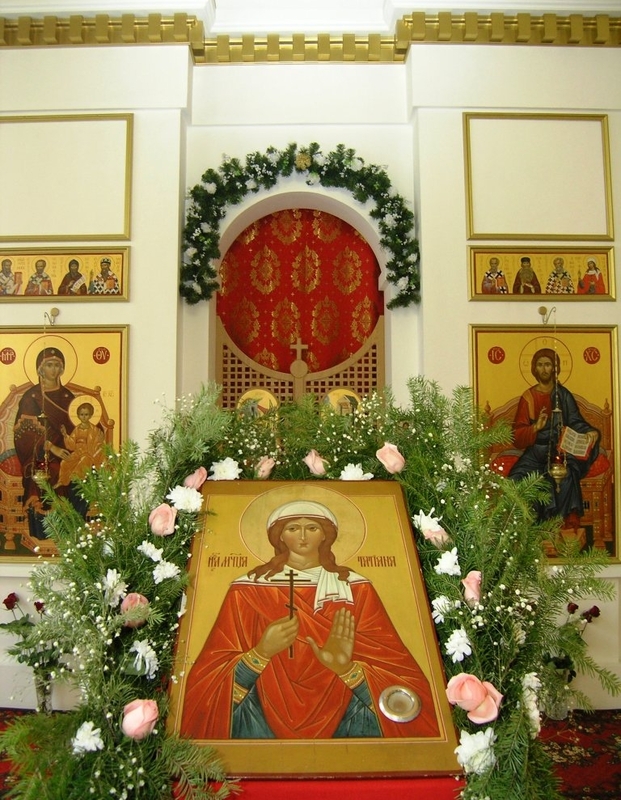 In church the books are placed behind the wooden screen that separates the readers from the community in close proximity to the altar icons, and used on a daily basis for liturgical services and collective worship as is common in Orthodox churches. But the books are also found in almost every Old Believer home, inherited from parents together with the family icons. Inscribed by those who wrote themselves in as copyists, readers, or lifelong owners, the books often recreate spiritual or family genealogies and mark essential moments in their individual biographies. 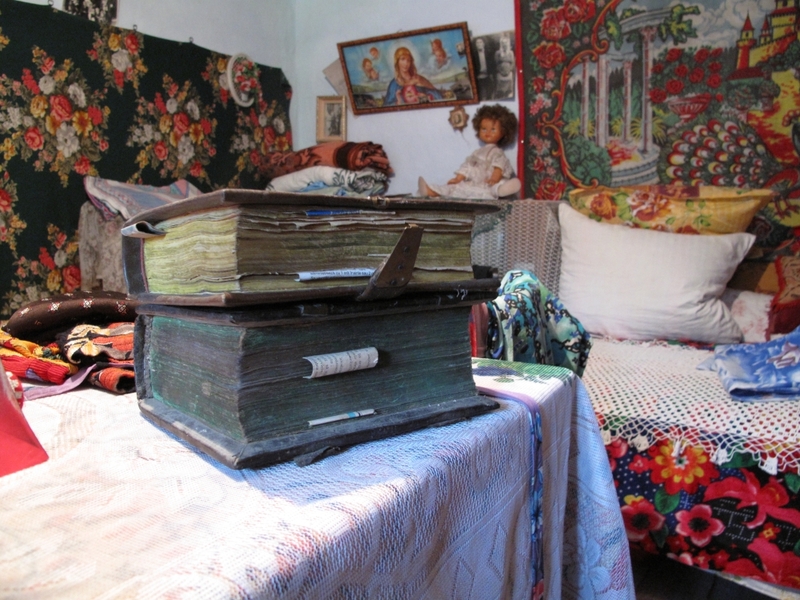 In homes they are most often hidden from view or covered with some clothing and are “activated” once a person literate in Church Slavonic engages with them—which some say needs to be done regularly. Similar to an icon placed in the house, the book constitutes a salient presence that puts the reader, the book, and the text in a particular relationship, prompting an act of prayer associated with specific practices: when taking the book in his hands the reader crosses himself, opens it deferentially and starts reciting from it. This action is as much a recited prayer as it is an occasion to commemorate those inscribed in the book and evoke the broader community of Old Believers. Forged early on, the Old Believers’ relationship with the books persists throughout a lifetime even though few literate people turn out to become priests, deacons, or readers in church. Young children start learning to read and write with the azbuka, the primer in Church Slavonic, then slowly progress towards the proper service books (chasovenniks and kanoniks) and liturgical singing (znamenny chant), which in itself requires serious training. Since Church Slavonic literacy is the basis of religious authority and the books are authoritative references in religious matters, religious education aims to form skilled readers by emphasizing precise repetition and correct reading. Thus the efficacy of prayer comes to depend on the correct, fluent recitation of liturgical texts with no engagement with or reflection on the content. 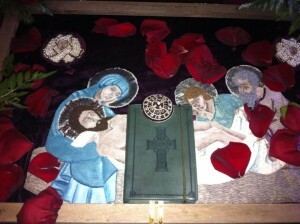 This passive literacy has turned reading into a powerful act of prayer and the old books into objects of visual piety. The film reveals how the reader’s gesture goes beyond the act of reading to become a spontaneous recitation from the heart, which acknowledges the sacredness of the old book. Similar to an icon, the book refers the reader to a reality beyond itself and at the same time it retains its distinctive historicity and presence, generated at the intersection of materiality, sociality, and transcendence. More so than in other branches of Eastern Christianity, the old book is a privileged semiotic form that constitutes the very means through which the Old Believers’ relationship with God is defined and lived out. When distinguishing religious from secular activity, contemporary Russian Orthodox believers often draw a contrast between the spiritual and the sensuous. Coming from Byzantine monastic writings that were popularized by nineteenth-century Russian clerics, this contrast refers to two different modes of human existence. Prayer and participation in liturgy are intended to develop the spiritual potential of the human being, moving beyond mere emotion or esthetic enjoyment. Key characteristics that make churches a spiritual space removed from secular sensuality are iconographic styles that depict saints as timeless, serene beings of no particular age, existing in eternity rather than historical time; and liturgical chants that are performed a cappella, in rhythms that are often governed by the words that are sung. The canonical texts of services and hymns to saints also often shy away from the more gory details of their lives and sufferings, to focus on them as spiritual exemplars. But especially when it comes to more popular and lay-oriented forms of praise and prayer, the elements of a liturgical setting can pull in different emotional directions. 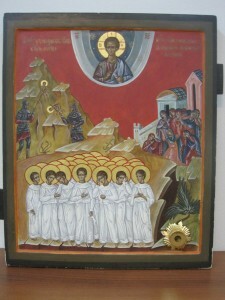 An example of this are the icon and liturgical texts addressed to the martyr Tatiana (d. ca. 225). The Roman deaconess became patron saint of Russian students by the historical accident that the mother of one of the founders of Moscow University was named Tatiana. In the neo-Byzantine style popular in contemporary Russia, icons of Saint Tatiana (here from a university chapel in Ioshkar-Ola, Volga region) depict her as an unblemished maiden, the cross in her hand the only hint at her sufferings as a martyr. Following after the Purest Lamb and Shepherd, speaking lamb Tatiana, you were not afraid of the beasts of the mind, but arming yourself with the sign of the cross, conquered them completely, and entered into the Heavenly Kingdom, from whence remember us too, wise martyr of Christ. Rejoice, who tamed them through prayer. Rejoice, who was hung upon the tree. Rejoice, who was falsely accused of sorcery. Rejoice, who protects us from evil sorcery. Rejoice, oh fragrant flower of virginity, glorious martyr Tatiana. In such paraliturgical texts written mainly by laypeople, sensual and physical drama returns to the prayerful imagination of the faithful, albeit restrained by the tones of the recitation, the archaisms of the Old Slavonic text, and the stylized lines of the icon. Somewhere in between is the prayer request of a student or parent hoping for good marks, left free to see her own tribulations either in a more spiritual or more emotional light. During their earthly lives, Coptic saints must preserve their humility and protect themselves from worldly “vainglory” (al-magd al-batil in Arabic). One monk, Abdel-Masih al-Manahri (d. 1963), who hails from a village in the Upper Egyptian municipality of Minya, is fondly remembered among Coptic Christians all over the world for his loud, flamboyant acts of self-effacement. “I want to get married!” “Don’t thank me!” “I don’t know my name!” In the aftermath of his miracles, outbursts like these, of impossible desire and possible insanity, served as warnings to the witnessing public not to seek human recognition at the expense of eternal salvation. For this reason, saints are known to run away and hide from people, preferring anonymity to celebrity. The death of such an ascetic monk sets in motion a process of sanctification in which images can be tools for prayer, but also can be impediments to it. After saints die, they are “freed from the battle against Satan” in the popular imaginary. Their devotees are, in turn, freed to publish the saint’s holy life through texts and recordings, in creative memory of those special dead who embodied the image of God. Long before an official canonization process can begin, popular recognition helps saints live on after death, and stimulates creative approaches to prayer. In the shrine of Abdel-Masih al-Manahri, the small cave where he had once lived, the walls are plastered by his portraits. With his plaintive eyes and crooked smile, the departed saint looks out from all directions, until the faces in his depictions fade from dust and time. 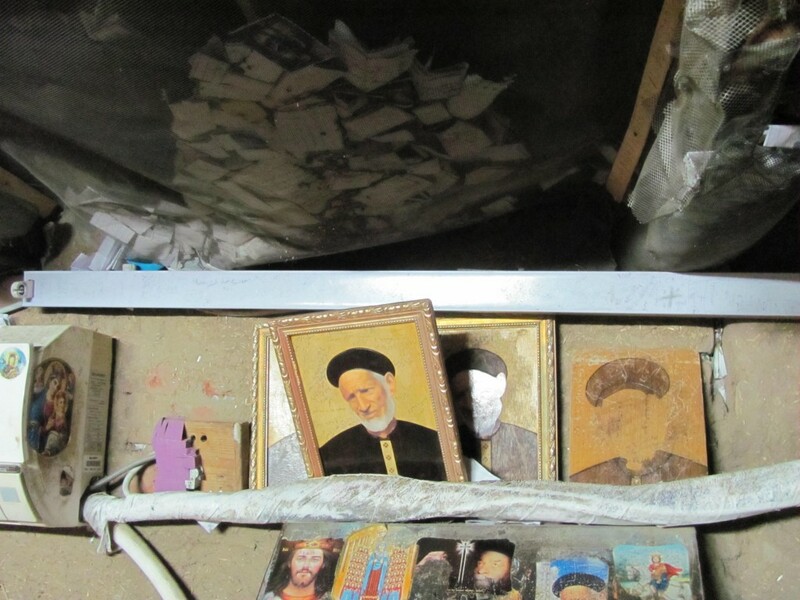 Copts come to seek his prayers, leaving behind traces of themselves which hang from the ceilings in large nets: photos of the ill, lettered requests, small gifts of devotion. Once the saint is safe in heaven, it becomes possible to praise him in image and speech. Behind the shrine, across lush fields of wheat and ink-colored cattle, there is an alcove that reminds visitors that limits to holy likeness continue on, even after death. 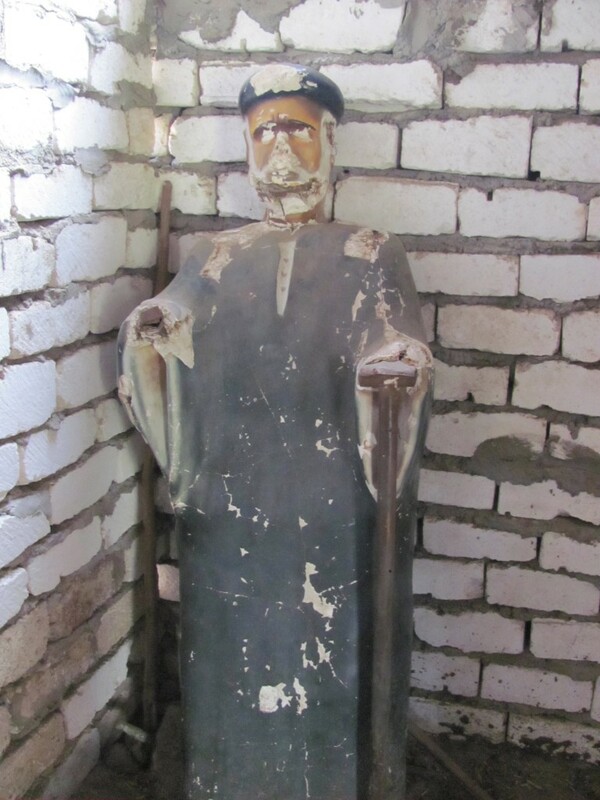 De-faced and de-limbed, a shattered statue of Abdel-Masih al-Manahri displays the remnants of iconoclasm. One villager explained to me with simplicity, “We don’t worship statues (asnam), this is against teachings of the Church.” Iconoclasm can be a reaction to forms becoming a bit too “life-like.” If prayer works for the good of those who remain on earth, then acts of image destruction expose points where sin is prone to occur, when idolatry poses a danger to salvation. The saint is not here any longer, so don’t forget that he died. Iconoclasm represents the memory that he lives on in heaven, on the very practical condition that he has left the world. As a saint dead to the world, Abdel-Masih is released from the spiritual dangers of vanity, unlike the many followers who pray in his wake. “Let us attend!” This is the familiar, urgent instruction directed to all those present in Orthodox Christian liturgy—a call to focus the mind, direct the heart, and attune the senses to what is coming. It is an instruction rooted in the dynamics of collective and individual prayer in the Orthodox Church where, as many scholars and practitioners emphasize, there is not a tradition of extemporaneous prayer. Ideally, one uses familiar formulae to ask for what one has already received—God’s mercy, for instance—or follows the prototype of Jesus Christ by praying the Lord’s Prayer. 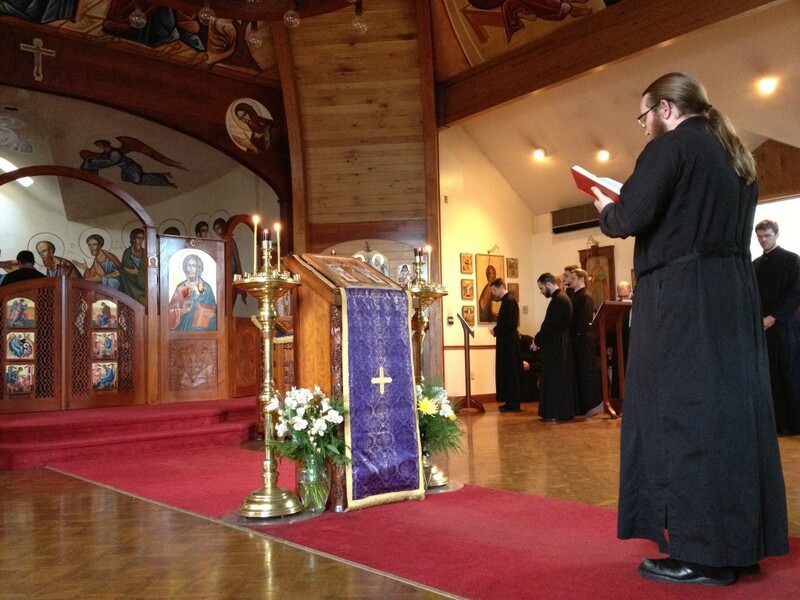 When Orthodox Christians attend to prayer, they are often led by the voices of those reciting from a service or prayer book or singing specific hymns. Performance and memory come together in the texts of prayer to create effective continuity between praying and prayerful audition. In the Orthodox tradition, texts mediate between those who give voice to prayer in a pastoral role—clergy, readers, and singers—and those who attend to prayer as listeners. As these two images suggest, such mediation can extend beyond the time and place of services to recordings of prayer that circulate through physical media and online. Orthodox Christians encounter and interact with these media­­ as additional ways of attending to prayer through technologies of prayerful audition. Just like in church, you’ll have the deacon or the choir leading you in prayer that you all know, and somehow in this way it’s awakening that in you, it’s almost strengthening it in you, so having such a prayer recorded is a goad for you to actually be doing it, almost like a prayer rope is reminding you that this is what you’re doing right now. It’s a very helpful thing. It’s a way to keep your feet on the pedals, and you know you’re riding the bike now. If you are using a recording as a means of prayer then, like all prayer, it must have your undivided attention. Maybe if you know the route well, you can listen while driving, if driving isn’t going to require too much of your thought, and I know many families where, when they go to church on Sunday morning, one of the family members reads the Communion Prayers to the others in the car. So if you can do that, and you’re driving by yourself, so long as you are engaging the CD with your mind and heart to make the words that you’re hearing your own words, the way that you would when you listen to a reader reading the prayers in church, you’re making those words—even though they’re not physically coming out of your mouth—you’re making them your own words. There is the potential in Orthodox Christianity to attend to prayer by recontextualizing recordings through the kind of intent listening to pastoral leading described above. Although these technologies of prayer might seem novel in the Orthodox tradition, many were quick to point to their connection to the theology of St. Paul in 1 Corinthians 12 where the body of Christ is composed of individual members, each sensorially attuned to the other so that when one suffers, all suffer, and when one is honored, all rejoice. Some members of the body give voice to prayer, while others make that voice their own through the work of prayerful audition. This prayer was performed in a convent in the Vyatka region of Russia during the winter of 2012. Every day in the evening a group of novices, lay workers, and pilgrims circled the convent in a procession. They bore icons and sang prayers to the Mother of God. The purpose of this prayer was to protect the convent from enemies—both visible and invisible. After that, the group asked the angels and the saints to come to their aid and in the end one person read aloud the prayer for the spiritual father, the priest who serves as confessor for the convent. A fragment of this prayer is heard here: the faithful ask to strengthen their spiritual father physically and spiritually, to reveal to him the sins of his followers and to save them by his prayers. This prayer shows the complex social relationship implied in intercession: the believers ask God to strengthen the prayers of their spiritual father, but also acknowledge that God hears them only thanks to his prayerful support. This community of pilgrims and monastics is built around the belief that some people are marked by special gifts from God. Such a person can see other people’s sins, and the weak in faith are saved by his prayers. These spiritual gifts are freely given by God, not caused by merits of the person. The main objective of ordinary people is to find their spiritual father and to live close to him under his spiritual intercession. Regarded as a living saint, the spiritual father becomes responsible for the souls his charges and would be responsible for their sins before God. The quote from the prayer says: “My Lord, you have joined us on earth, do not separate us in Thy Heavenly Kingdom.” The connection between the spiritual father and his children continues after death. Save, O Lord, and have mercy on our spiritual father and forgive him all our sins, do not condemn him because of our sinful life, increase in him spiritual gifts, reveal to him all our sins, and grant him wisdom, prayer and love, and for the sake of his holy prayers forgive our sins, increase our virtues, and send down on us abundant grace. O Lord, preserve him by day and by night, overcome his corporal and incorporeal enemies, and deliver him from visible and invisible enemies, save him from flatterers and unrighteous men. Keep also his flock from sin, grant that in repentance we may come to a quiet and peaceful life and by repentance enter paradise. O Lord, visit and encourage him, heal him from disease and grant him many years, for the sake of us sinners. O Sweetest Jesus […], sanctify our spiritual father by Thy holiness, justify him by Thy truth, protect him by Thy mercy. My Lord, you have joined us on earth, do not separate us in Thy Heavenly Kingdom. And for the sake of his holy prayers forgive us great sinners and all his spiritual children. For Thou art good and the Lover of mankind. Amen. In Romania today every religious store containing Orthodox items displays a distinct shelf for the multitude of akathist booklets with prayer-hymns dedicated to the Virgin Mary, Jesus Christ, saints, archangels, or biblical events. Even lifestyle magazines for women offer them as bonuses around religious holidays. 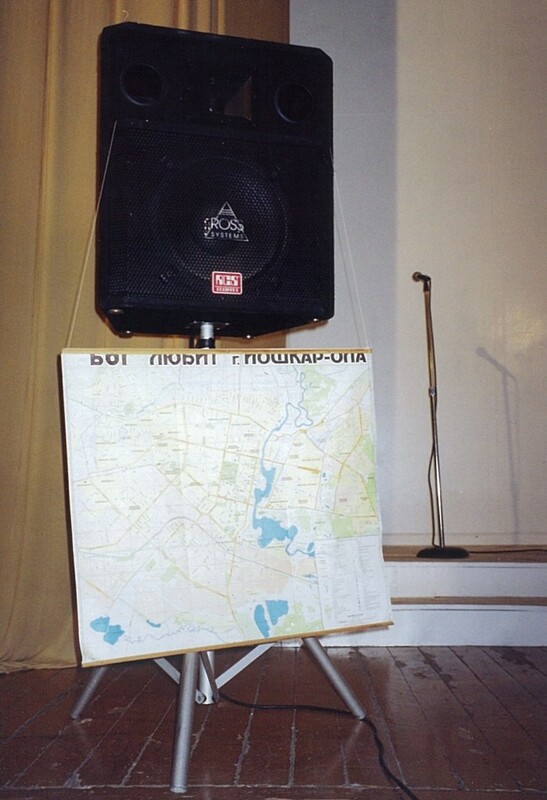 The post-socialist akathist booklet is an inexpensive portable object, roughly printed on poor paper, with the icon of the holy person on the front cover. Their materiality and content, the prayer practices attached to them, make the akathist booklets, like the Catholic holy cards although in different ways, “handy little markers” of the circumstances of a mobile devotional culture. Each booklet contains the akathist hymn and several additional introductory prayers. The prayer-hymns are modeled on the akathist dedicated to Mary, the Mother of God (Theotokos or God-Bearer in Greek), an elaborate composition written in the 6th century. Expanding this Byzantine legacy, myriads of akathist hymns have been composed in the languages of Orthodox communities. The canonization of a new saint requires the writing of an akathist hymn. 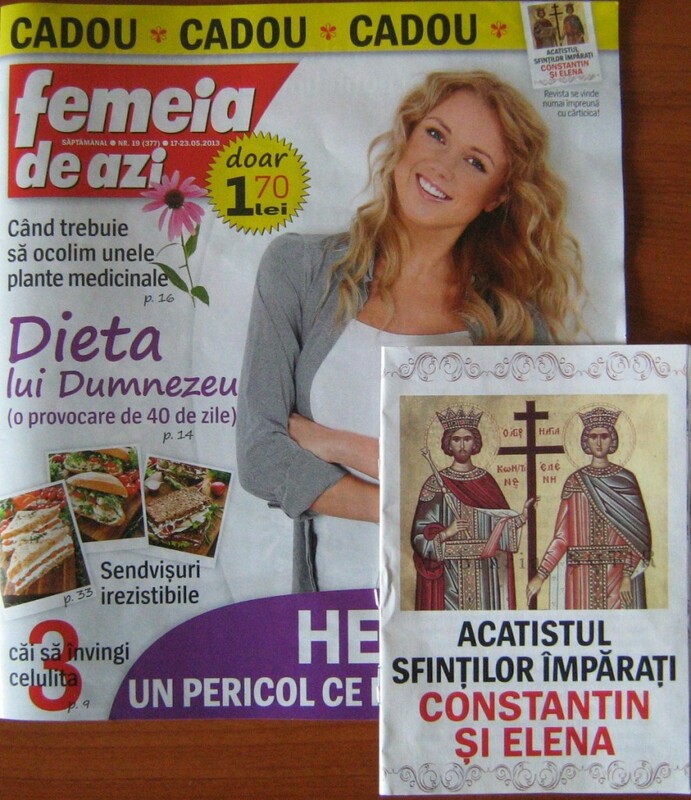 Contemporary booklets make use of traditional texts (translating them into Romanian if necessary) accepted by the ecclesiastical authorities but also circulate controversial new texts praising saints who are not yet canonized. The religious entrepreneurs who print and sell these texts help create devotional styles and move them across national boundaries. Some parish churches offer special vesper services with the singing of akathist hymns, but most congregations rarely use them in public worship. Their use occupies a creative space in between the individual prayer and the traditionally ritualized one. Many believers resort to the akathist prayer, considered to be more powerful than “one’s own words,” to invoke the intercession of a certain saint especially in troubled personal times. 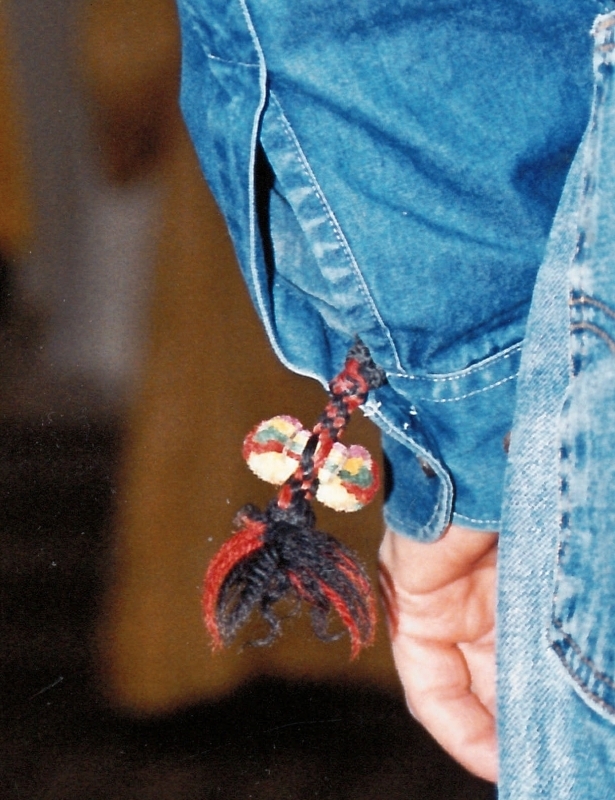 Often the priest-confessors recommend to their penitents, according to their problems (health, marriage, work, addictions), a consistent program of prayer using specific akathists (sometimes for 40 days in a row) and involving specific embodied practices such as fasting, lighting a candle, and kneeling or standing in front of an icon while reading, at home or in church. Believers also cultivate their own personal approach to akathists as part of their devotion to certain saints. Containing references to the holy person’s life, the akathist enables an intense relationship with the invisible companion. Many believers possess collections of akathists reflecting their preferences and the problems encountered in life and often exchange them with their friends. They take the booklets with them in cars, in handbags, in pockets, in wallets, and read them according to their mood, at home or at work, during daily activities or in pilgrimage to the saint’s shrine.